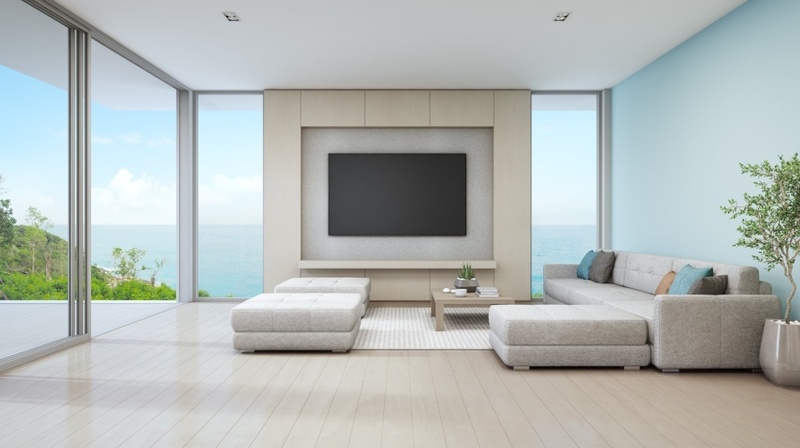 It actually comes as little surprise that selecting the right TV mount is so often a top priority – and a bit perplexing at times. After all, there are multiple things to take into account, including aesthetics, viewing angles, seating arrangement and furniture placement, natural lighting, availability of space, TV size, weight, mount size, and more. There are also technical aspects – for example, what’s the difference between a fixed TV mount and a full motion mount? Don’t worry – we’ve got you covered. Read on and we’ll go over each of these factors, and help recommend the best TV mount for your space. Where you’re putting your television makes a big difference when it comes to choosing the right TV mount. Do you have space to mount your TV at eye level, across from where you’ll be sitting? 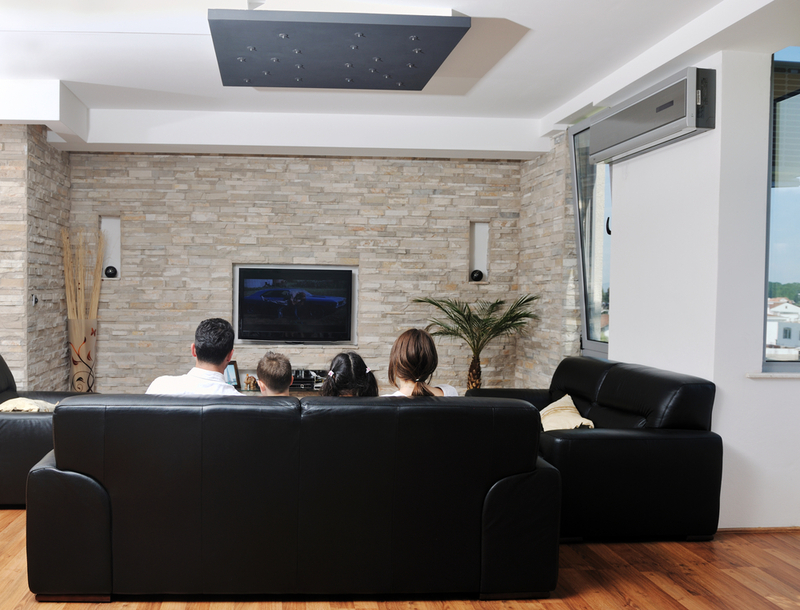 Oftentimes, this is the kind of setup people look for in living or entertainment rooms. If that’s the case, a fixed TV mount might be the best choice for you. Streamlined and minimalistic, a fixed mount keeps the TV in one place, propped against the wall. Its quiet elegance makes it a great choice for décor. If you’re mounting your television higher than eye level, such as above a mantelpiece or fireplace, there’s a good chance a tilting TV mount is your best bet. That’s because true to its name, a tilting mount increases your vertical field of view by tilting downwards. 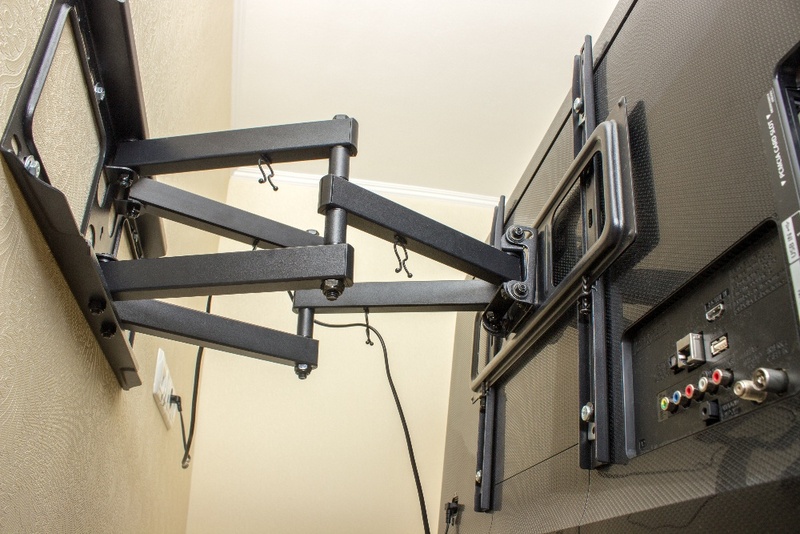 Tilting TV mounts are slightly more versatile than fixed TV mounts, but only offer vertical flexibility – they angle up and down, not to the right or left. It’s a great option if you’re looking to save space by placing the TV a little higher up, as they allow you to watch without craning your neck. And, when not in use, the TV can be tilted back up and set flush with the wall, just like with a fixed mount. Mounting a television in a corner is also a great option, but in this case, you’ll definitely want to go with a full motion TV mount. With the full motion mount, you really do get the full range of motion – you can extend the television forward or push it back, as well as tilt the screen up or down and side to side. This ensures that you’re not stuck in the corner when you want to watch your TV, as would be the case with a tilting or fixed mount, which keep the television attached to the wall. Full motion TV mounts are a little bulkier and usually a bit more expensive than fixed or tilting mounts, but deliver that extra versatility that you just can’t get with any other mount. Another good reason to buy a full motion mount is if you have an ever-changing seating arrangement or often watch TV from different parts of a room. A full motion TV mount can be particularly helpful in a multi-purpose room, where you might have a couch or bean bag chairs in front of the TV, as well as a table or bar on the other side of the room. This lets you to cozy up for a movie night or series binge, while also allowing you to change the viewing angle if you want to snack at the table while watching a sports game or having a viewing party. If your seating arrangement is more permanent – such as a sofa in a designated viewing area, or if you only watch TV from bed in your bedroom – then a fixed or tilting mount would be the right style of mount for you. Utilizing the right television mount works wonders for countering that dreaded TV glare. Whether you’ve got natural sunlight shining into a room at certain times of the day, or a lighting setup that always seems to catch your eye, a tilting or full motion mount could solve your problems. A lot of the time, a simple downward tilt can remove the glare, but depending on how much light enters the room and from where, you might want the added maneuverability of the full motion mount. Not only can we recommend the right TV mount, but your Puls technician can bring the desired TV bracket to mount your TV as part of your appointment. We do all the drilling, heavy lifting and technical configuration for you, so you can simply sit back, relax and get ready to enjoy your newly mounted TV. We can even help you conceal wires, mount shelving and sound bars, or hook up devices like your XBOX. Simply hop online and book an appointment with our expert technicians at a time that works best for your busy schedule. We can be there within the same day to make things as seamless and convenient as possible. 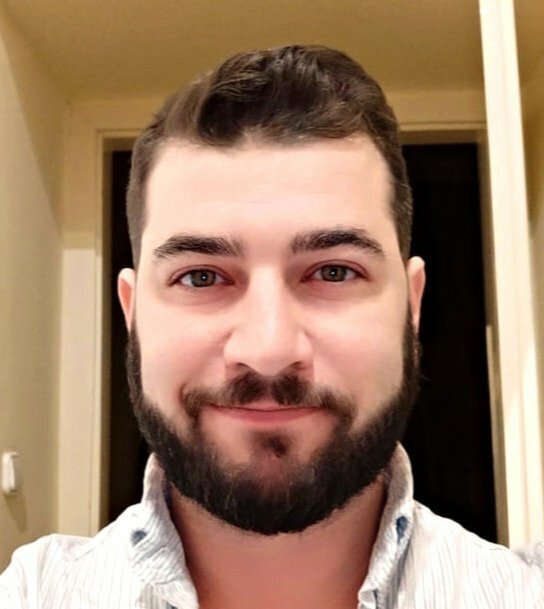 Click here to book an appointment today - you’ll be glad you did.